Al Arsenault is 65 years old and a former client of The Ottawa Mission. Andrew Wright is 51 and has been working in Housekeeping at The Mission for an amazing 34 years. That means that Andrew began his life of dedication to helping people who are homeless and hurting when he was just 17 years old. 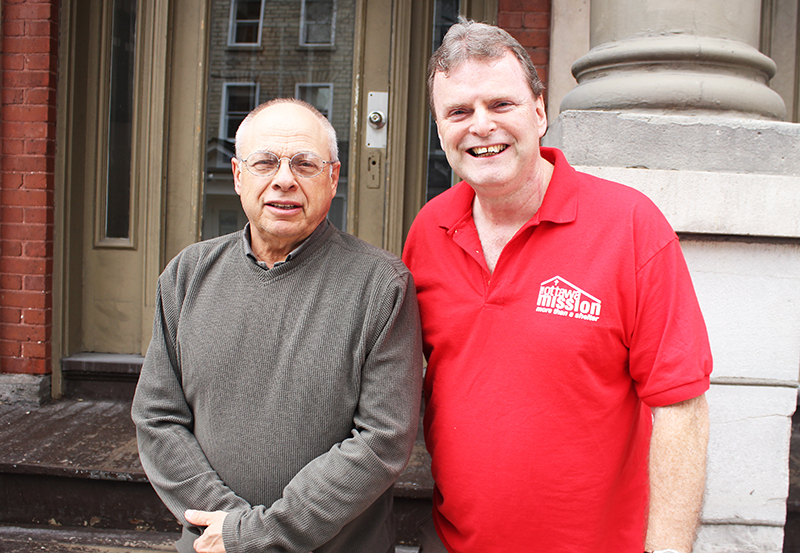 Al and Andrew met back in 1995 when Al came to The Mission looking for help with mental health and addiction issues. He came to us because as he says now, “No one else would take me in.” What he found – along with receiving the counselling he so badly needed – was a sense of caring and compassion that literally changed his life. And, he says, this came from everyone at The Mission – Andrew included. Al describes those he met as “Christian people who had strong values and demonstrated them on a daily basis.” They gave him the strength he needed to tackle his problems, and Al has now been sober for 22 years. Over the years, Al and Andrew have kept in touch, and to see how their special friendship has endured for all this time is a joyful experience. We are blessed to know them both.